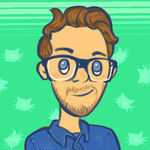 Kitten color glitch | Cattails: Become a Cat! So I got one of my kittens up to 5 stars and got their unique pelt I tried it on and it worked fine. Then I got one of my others up to 5 stars the next game day and when I went to look at it, the pelts had both just changed to the starting white color. I tried to put the pelts on just in case they still worked but they both looked like the white color still. I don't know why this happened but I just thought it was worth mentioning. Thanks for reporting! Do you remember if you saved/loaded your game at any time between getting them to 5 stars and then them turning White? I've investigated a bit, but can't seem to replicate the issue. Any further insight would be greatly appreciated. I got the first one to 5 stars, saved then slept, then got the next one to 5 stars. I looked at my pelts and they were just white. I got the third one to 5 stars too to see if that would make any difference, but that color was white too. Thanks for the info, that's very helpful. I'm still not having any luck replicating the issue, I'm afraid... If you (or anyone else reading this) can figure out a way to trigger this particular glitch, please let me know and I'll get it fixed as soon as possible. I would try, but on my other save file I only have 1 kitten so it probably won't work as I think it will only trigger it if you have more than one kitten. 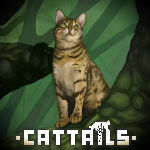 Would it be possible for you to copy your savefile from %LOCALAPPDATA%\Cattails and attach it to an email and send it to us at cattailsgame@gmail.com? That would be immensely helpful in debugging the issue. Thanks! I'll be watching for it in our inbox. Just played around with my save file and found out how to trigger the glitch. You have to save and sleep as one of your kittens colors. When I looked after that they had turned white again. Hmmm... very strange! Thanks, I got the email and am seeing if I can replicate it. Thanks! Finally figured it out. Has to do with the save function. If you have a kitten color unlocked, it will turn white immediately after you save your progress. It will fix itself automatically when you reload your game. I've fixed it for all future builds of Cattails. Again, really appreciate your help! Great! I'm glad I could help! Falcon Development and Thunderstar, maybe it only works with the pelt Thunderstar has? I haven't tried it tho.